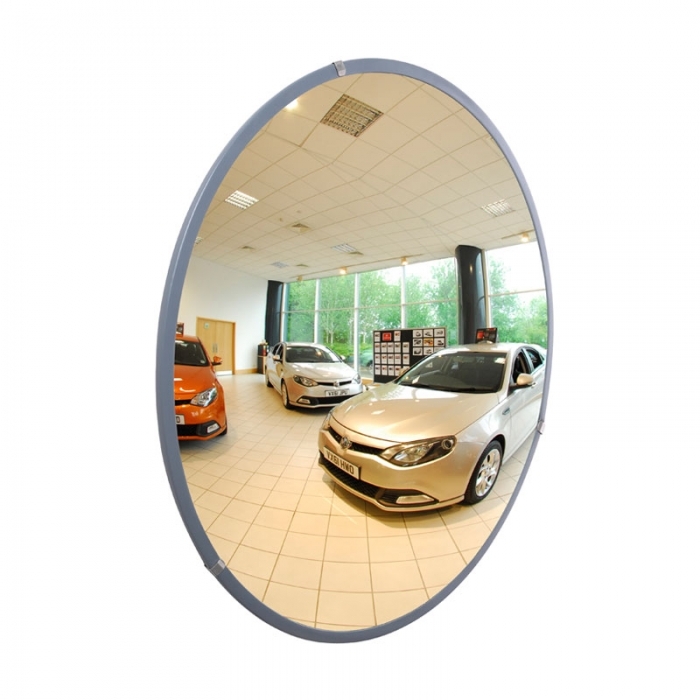 Two sizes available for our acrylic safety mirrors. 450mm diameter and 600mm diameter options. This security mirror has a diameter of 600mm. Complete with fixing bracket.